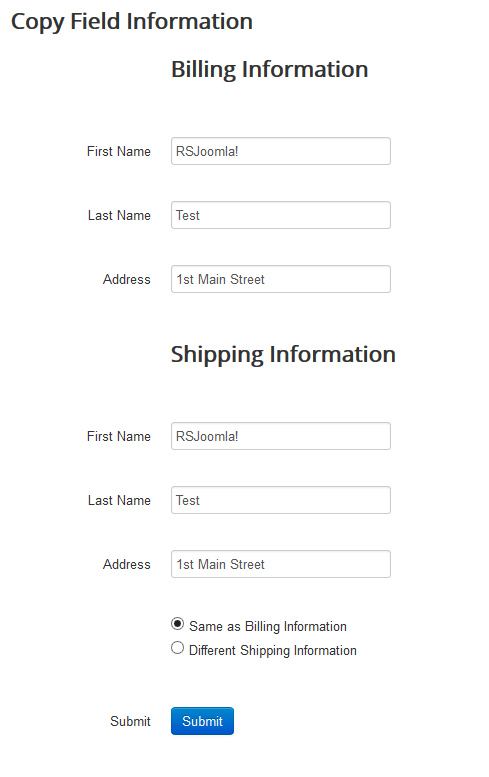 In this article we will provide a quick implementation for the following type of scenario: copying information like first name, last name and address from one form section - Billing Details, to another - Shipping Details. The article consists in a step-by-step guide to implementing this, but you can also download the sample form by clicking on the button to the right. 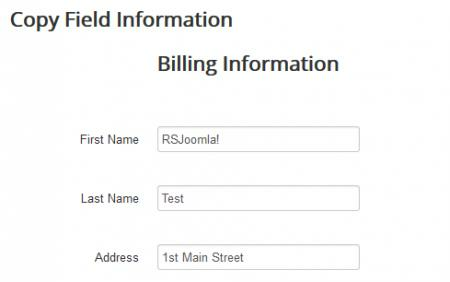 The code will verify if the Same as Billing Information radio option is checked and, if it is, will copy the text that the user typed in the billing fields to the shipping fields. If the Different Shipping Information option is checked, the shipping fields will be cleared.